TGB Group is currently engaging with a large midstream company to develop four new crude facilities in west Texas. These transloading facilities are planned to be north, south, east and west in the Permian Basin, which spans western Texas and southeast New Mexico. The crude facilities will help with the rising demand for oil transport in the region. Our team is providing design, construction management, procurement and consulting services to the developer. Strategic consulting services for the new crude facilities in west Texas are focused on helping the client find optimal locations and assisting the client in the development of efficient operating procedures. TGB Group is working with the railroads involved – both Class I and Short Line railroads – on pricing and routing options. The Permian Basin is a sedimentary basin that contains one of the thickest rock deposits from the Permian geologic period found anywhere in the world. 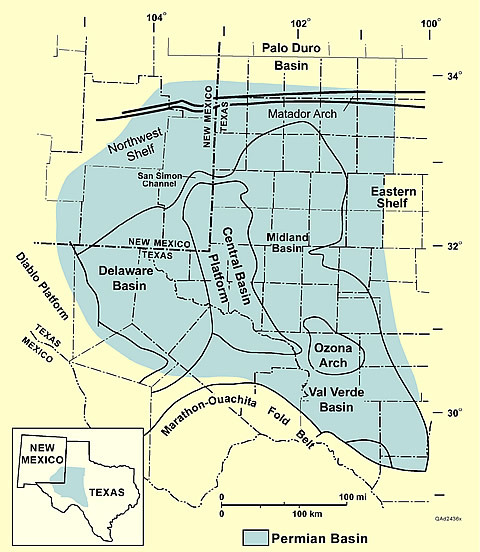 The greater Permian Basin is made up of smaller component basins, the largest of the three being the Midland Basin. The rock deposits of the Permian basin begin south of Lubbock, Texas, and extend southward through the Midland/Odessa area almost as far as the Rio Grande River. The basin then extends to the west into New Mexico. The Permian Basin falls within one of the country’s richest oil-production areas. With headquarters in Midland and Odessa, the area through 1993 had produced some 15 million barrels of oil.